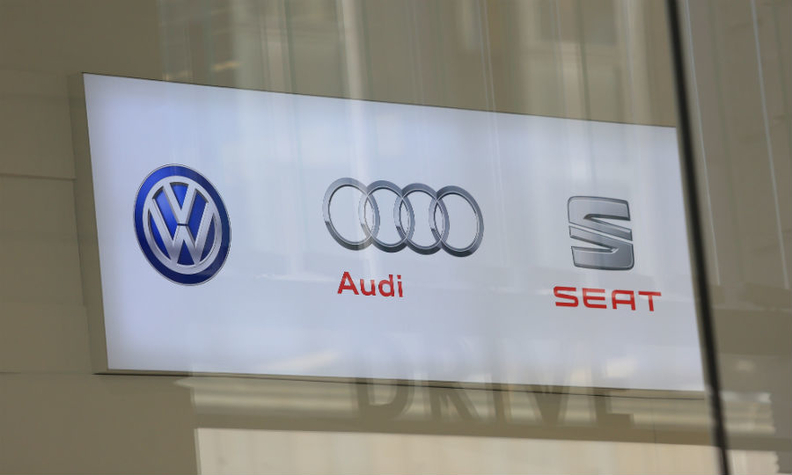 BERLIN -- Owners of Volkswagen Group cars with rigged diesel engines in Germany including VW, Audi, Skoda and Seat models will have their vehicles de-registered if they refuse to get a software update, a magazine reported. VW has recalled about 11 million vehicles worldwide that were fitted with software capable of cheating emissions tests after its diesel scandal broke in September 2015. Nearly two years later, almost 5.5 million of the 8.5 million affected models in Europe have been retrofitted, including 1.8 million cars in VW's German home market. But many drivers do not want their cars to be retrofitted with new software, fearing any changes to make the vehicles comply with emissions standards would result in them being slower and cause them to consume more fuel. Some VW drivers could have their cars de-registered as early as next month, depending on when recall notices were issued, Focus magazine reported, citing documents of Germany's KBA motor vehicle authority. A VW spokesman declined to comment.